Maserati are beautiful sports cars with an Italian heirtage from the stunning walled city of Bologna. Maserati are known for their style and power but also for their suitability for every day driving. 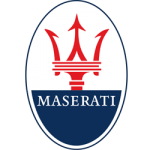 The range includes such fabulous names as the Maserati Ghibli, Maserati Levante, Maserati Quattroporte, Maserati Grancoupe and Maserato Granturismo. We have some great Maserait lease offers available. When you take a look you will see a variety of Maserati lease deals on each model. We get some of our best driver feedback from Maserati drivers.